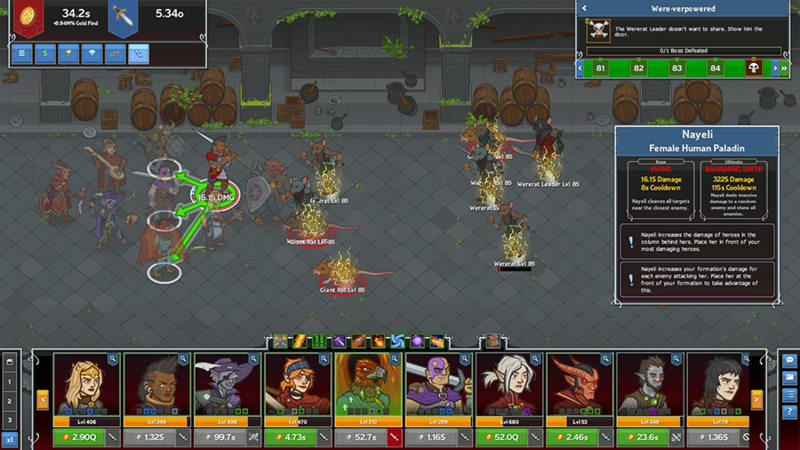 Posted in Codename News, Idle Champions. 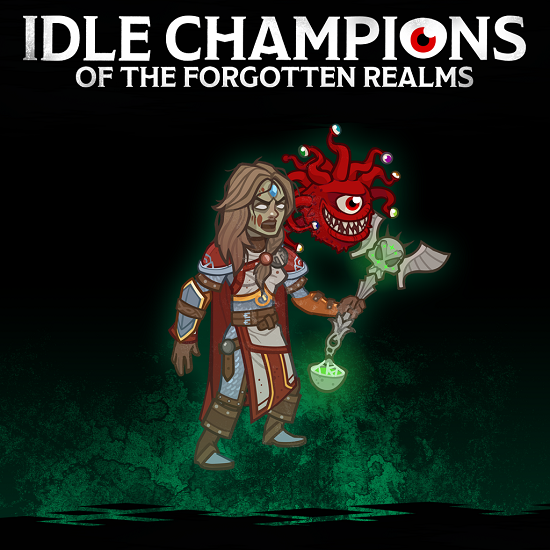 We are delighted to announce the launch dates of Idle Champions of the Forgotten Realms for PlayStation 4 and Xbox One this December! If you own a PS4, be sure to check the PlayStation Store on Tuesday 11th December when the game will be available. XB1 owners will be able to install the game on Friday 14th December. 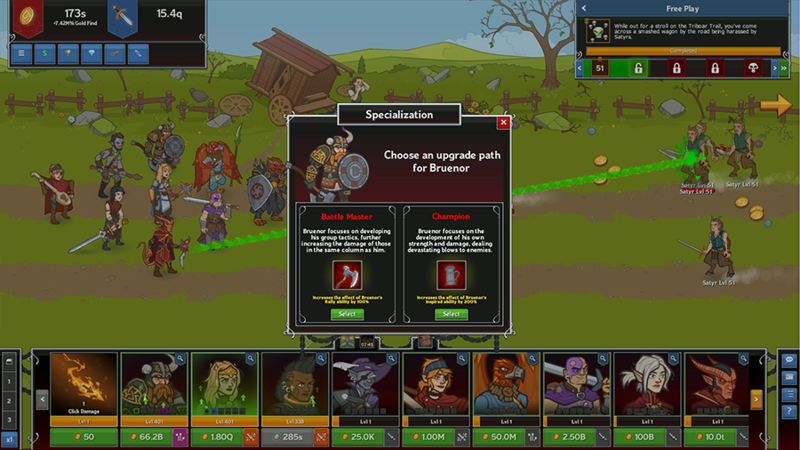 At launch, players will be able to buy a Founder's Pack we've created to celebrate the launch of Idle Champions on both consoles. This awesome new package contains a serious amount of cool content that will enable players to kick off their campaigns in style. But don’t worry - this new pack won’t be console-exclusive! That’s right: the Founders Pack will be available across all platforms, so even if you don't have a PS4 or XB1, you won't miss out! 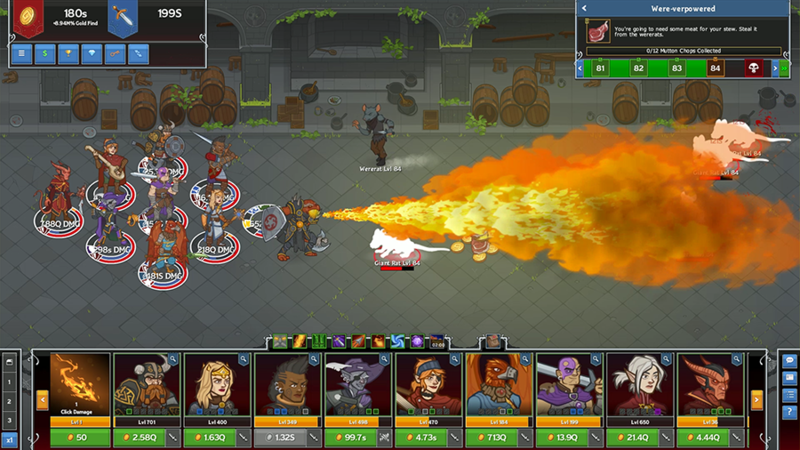 The launch of Idle Champions on PS4 and XB1 also debuts a significant design update that we're extremely proud of. The game's user interface has been completely redesigned from the ground up to work with console controllers, and we think players will agree that it is a great new look for the game. In honor of the launch of Idle Champions on PS4 and XB1, we have created a brand new Founder's Pack to help you kick off your adventure! The Founder's Pack is full of exclusive goodies at an awesome discount! 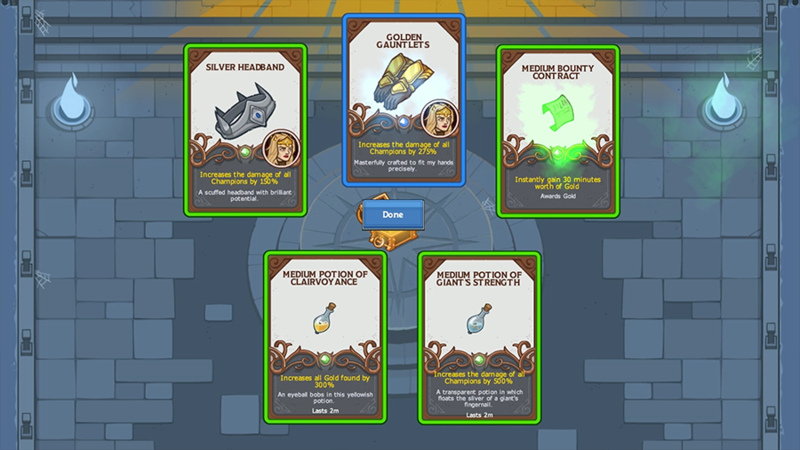 5 guaranteed Shiny loot cards (50% stronger than their non-shiny counterparts). 10 epic potions and contracts that you can use to help you push further in your adventures. An exclusive buff for 1 week: Increasing the gem drops by bosses by 50%. * Iris the Beholder familiar will be available once you reach area 66 in any adventure. Our final new big update is that starting on December 14th, we'll be celebrating the launch on Console with a week of in-game freebies on all platforms! That's right, whether you play on PS4, Xbox, PC, iPad or Android tablet, you'll be able to come back for daily rewards during an epic event all week long. 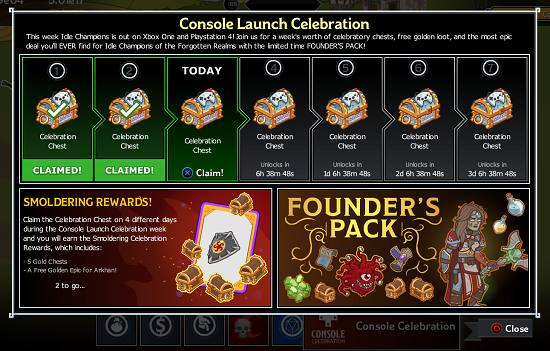 All you have to do is log in and play every day to pick up a console celebration chest which has four unique items selected by the Idle Champions team! Collect 4 of the chests to unlock an additional five Gold Chests, and a free Golden Epic card for Joe Manganiello's Arkhan the Cruel! Mark your calendars! 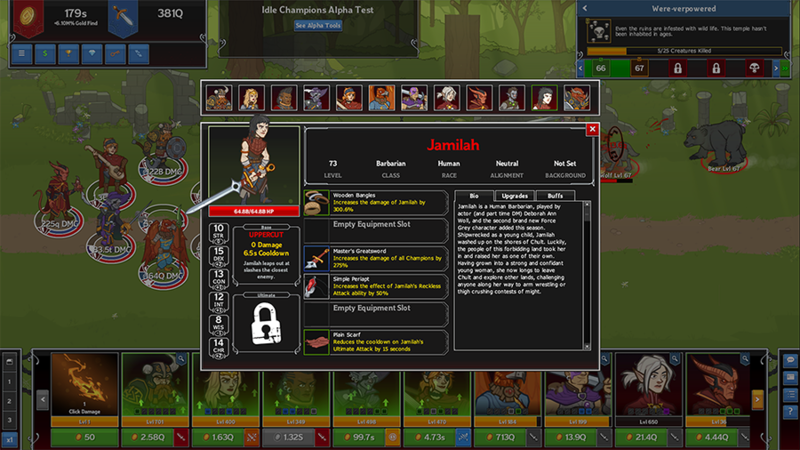 We are very excited to welcome even more fans to the Idle Champions' family.